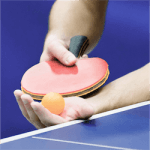 Australia’s passion for sports covers a huge range, and the dedicated table tennis fans are looking forward to the biennial ITTF World Table Tennis Championships later this year. They will be held from 28 May to 5 June in the Messe Dusseldorf trade fair centre in Dusseldorf, Germany. Punters keen to place online bets on the World Championships will be looking towards Ireland this weekend. 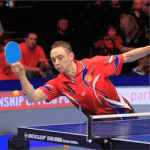 Saturday and Sunday will see Dublin host the final stage of the qualifiers for the European Table Tennis Championships, to be held in September in Luxembourg. The Irish side, comprising five players and non-playing coach John Murphy, will host Norway, Bosnia and Scotland. The qualification rounds for the World Championships, as opposed to the European Championships, only take place at the end of May. 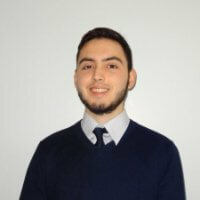 Nevertheless, this weekend’s action in Dublin’s National Indoor Arena will give betting enthusiasts a chance to assess which European teams might have a chance of playing in both tournaments. The field for the World Championships will be drawn from 150 countries, but no matter how many European teams eventually qualify for the tournament, betting fans will be backing Chinese players heavily. Chinese stars comprise half of the Top 10 in men’s table tennis rankings, and fill four of the Top 10 spots in the women’s rankings. World No. 1 Long Ma and World No. 2 Zhen-dong Fan are sure to attract plenty of wagers in the men’s tournament, while their female counterparts with the same respective rankings, Ning Ding and Yu-ling Zhu, are expected to dominate the women’s competition. 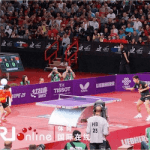 The sponsor of the ITTF World Table Tennis Championships 2017, Swiss manufacturing conglomerate Liebherr, will be introducing their smart new black-topped tables in Dusseldorf, for the first time in international table tennis. Apart from fitting the modernist décor of Messe Dusseldorf perfectly, these tables should also add to the enjoyment of punters watching the action on TV or betting site live feeds, as they make the white ball show up more clearly on camera. China To Defend World Table Tennis Championships The 2017 World Table Tennis Championships kicked off this week and will be concluding the 5th of June. Reigning Chinese champions, Fan Zhendong, ….